With the current backlog of books to be reviewed, I'm having trouble remembering the exact order in which I read them. The End of Absence, a perfectly nice book, is one of those that I am unable to accurately pinpoint on my literature timeline. Did it come before or after The Cuckoo's Calling? I really don't remember. This does not mean, however, that The End of Absence is forgettable or poor. I quite enjoyed reading it, with a few minor exceptions, and felt that I genuinely learned something new. I guess it was perfectly suiting that I decided to buy The End of Absence after reading a positive review of it in The Economist. A few years ago, I would have had to order it from another country. Now I could just download it to my Kindle with a few taps of my thumbs. The End of Absence is, in a way, the story of that change in the way we live our lives. It is something that has affected almost everyone's life in the western world. We now have access to most of the world's knowledge everywhere we go. Smartphones help us connect with friends, family, experts and professionals at every moment. The titular End of Absence is exactly that. We are never farther than a few feet from devices that consume our attention better than anything before them. The best thing about The End of Absence is that it is not a cautionary tale. Michael Harris does a wonderful job of not taking a stand. After all, technological progress is something that we can't stop. We can't turn the clock back to a time before Smartphones or Kindles or Facebook. Progress is a one way street. The subtitle doesn't do the book any real justice, though. 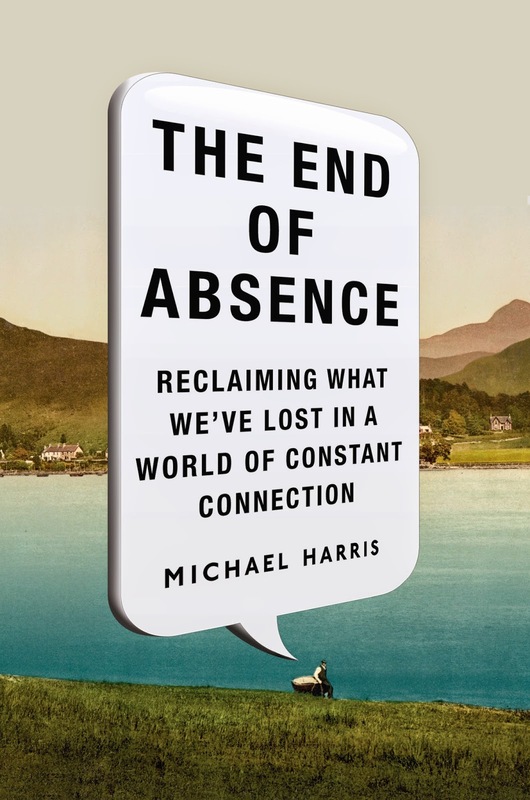 There is no "reclaiming" proposed in this book, the closest that Harris gets to suggesting countermeasures is asking the reader to pause for a moment every now and then to remember the different ways that mobile technology has impacted their life. Has it always been for the best? Are you happier than you were before?